At Wiltons we take pride in ensuring that the right product is chosen for each installation. To this end each modular stainless steel system is not only Manufactured but also Tested and Certified to BS-EN 1856 with a Declaration of Performance. This ensures that each system has its own CE kite mark, complying with the latest Building Regulations. Our fully welded systems are made to measure and can either be manufactured in stainless steel or standard steel. 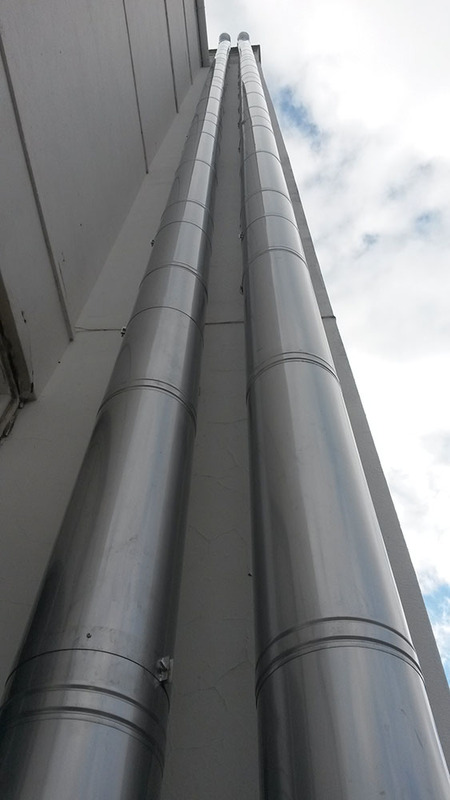 For each flue system we have the full technical report and Certificate showing the proven capabilities, which is available on request. In addition to the initial testing of the system a Factory Production Procedure is part of the Audit trail ensuring that only the products used in the test are used on the production line. Periodic testing of these products is a further guarantee of the quality and suitability of the application. All of the products we use have a minimum guarantee of 10 years and have a minimum corrosion rating of V2. From 1st July 2013 Building Regulations state that only CE kite marked products are suitable for use, which is a standard we have been using since 2008. Where modular systems are inadequate we manufacture made to measure high pressure systems to meet the requirements of any consultant/designer/specifiers requirements. We can also incorporate into a design provision for pressure/explosion relief panels, if required. All of our manufacturing meets current regulations and for special projects we have coded welder certification. 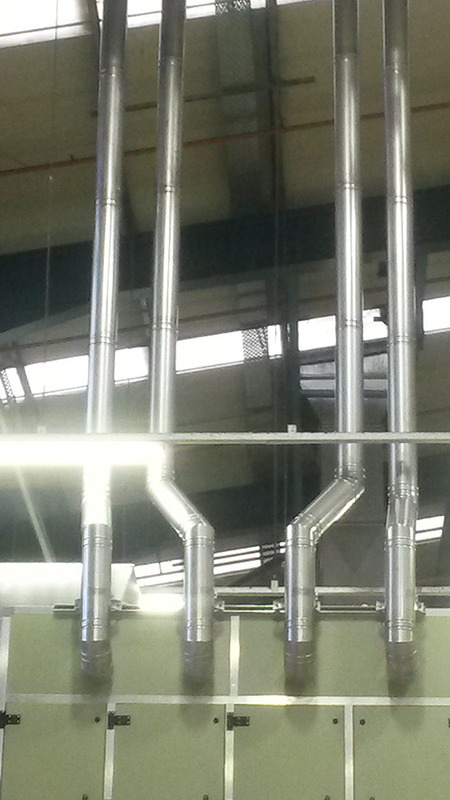 In some instances, for low temperature high condense applications we are able to offer plastic flue pipe, which is fully compliant with all the current regulations.